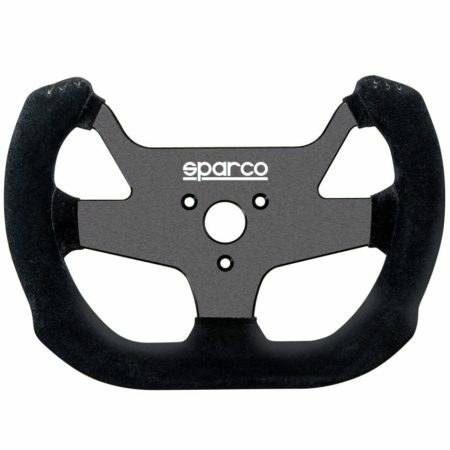 Sparco’s “F-10A” steering wheel is a 270mm diameter Pro Motorsports steering wheel. It’s manufactured in lightweight carbon fibre, intended for use in single seater and sports prototype racing cars. 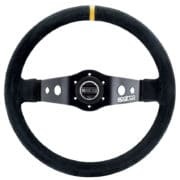 The unit features an ergonomically styled grip, ensuring the best driver feel possible long with a high degree of comfort ready for endurance racing. 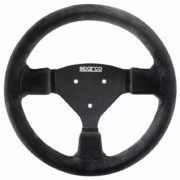 Featuring a high grip suede cover on the rim of the wheel with a pre-drilled centre ready to accept a 3 bolt quick release boss.